If you have any questions or want to enquire about dates, use our form to contact Victoria Cunningham or see their website for more information. Granite gateposts, Georgian house, rhododendrons, beech woods and rolling fields of sheep: that’s the setting. But there’s more. Beautifully proportioned rooms reveal subtle colours, elegant antiques, squishy sofas and bucolic views, stylish bathrooms are sprinkled with candles, there are sumptuous dinners and pancakes at breakfast. Your hosts left busy jobs in London to settle here, and their place breathes life – space, smiles, energy. Swim, play tennis, walk to Dartmoor from the door, take a trip to Eden or the sea. Or… just gaze at the moors and the church on the Tor and listen to the silence, and the sheep. This property is part of a working farm or vineyard. Dinner from £23. Pub 2 miles. 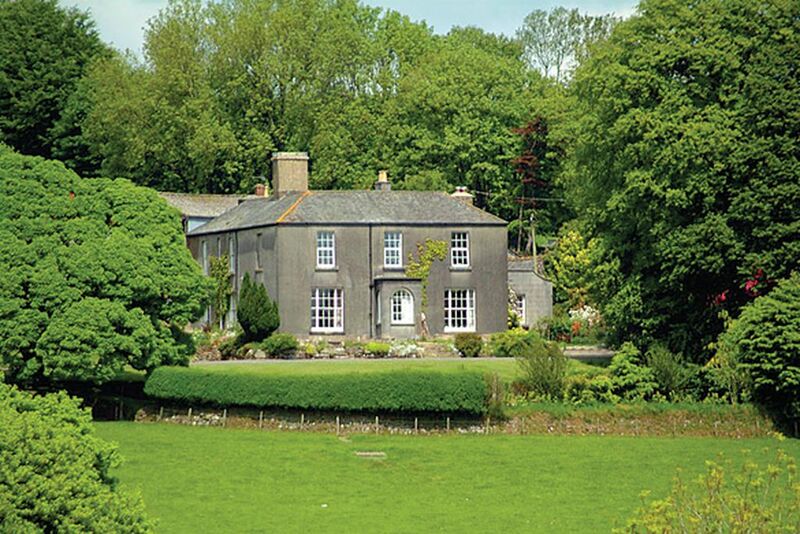 Burnville House is an historic home which lies in a glorious countryside setting on the edge of Dartmoor. We received a warm welcome and were delighted with the immaculate, large and comfortable room we stayed in. You know you are home when there is a sherry decanter in your room! For our dinner, we chose the Fabulous Fish Pie (which it was) and apple pie (delicious). We enjoyed a swim in the sunshine before an indulgent breakfast, followed by a long walk on the estate's land. We left feeling thoroughly refreshed after our stay in this tranquil idyll. Why would anyone go to a hotel ? This is my number one pick from the over 50 Sawday's B&B's I have stayed at over the years. Victoria is very friendly, energetic and runs a professional B&B. All amenities are catered for. A delicious breakfast and great value. No hesition in recommending this wonderful B&B. This place is out of this world and the best B+B we have ever stayed in. The house is so spacious and extremely well and stylishly appointed. The interior is a marvellous contrast to the drab exterior. Top quality features occur throughout and everything has been carefully and tastefully selected. Victoria's cooking and dining experience are outstanding and the evening meal menu is both extensive and interesting. The food and table presentation are excellent and add greatly to the dining experience. Breakfasts are awesome! Victoria is most welcoming.